Aynsley & Waterford China & Crystal Ad 1972. Aynsley & Waterford China & Crystal Ad 1972. This is a February 1972 advertisement. This is a nice black and white ad from Aynsley & Waterford of NY. Pictures a cup and saucer in Cambridge pattern and the Kylemore goblet. It reads, When the queen of England wanted bone china for her wedding table, she chose Aynsley. When the presidents daughter wanted crystal, she chose Waterford. In mint condition. Photo is taken through plastic and may show wrinkles or crookedness that is not in the ad. This magazine tear sheet measures 10"" wide by 13"" tall. 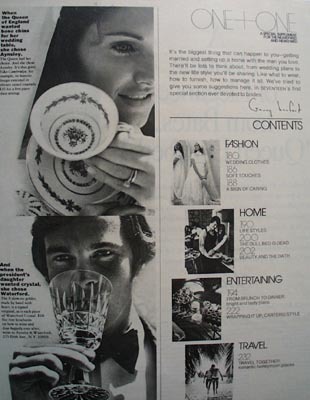 Items Similar To "Aynsley & Waterford China & Crystal Ad 1972."